All software is guaranteed virus free, NO spyware, NO adware, NO malware, or anything else but good shareware. We make our living selling software, not malicious advertising! Use our incredibly fast and powerful poker calculator that tells you the winning probabilities and odds for any combination of known and unknown hands and/or board. 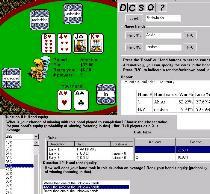 View the Outs table to quickly see your single card outs probabilities and pot odds with one or two cards to go. 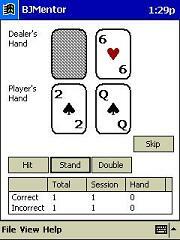 Poker Drill Master for Pocket PC is now available!! 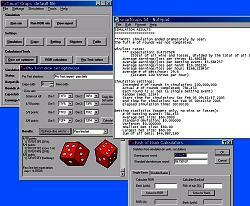 Smart Craps Roll Recorder can be purchased for $35 (includes both the Windows and Palm OS versions). Smart Craps for Windows can be purchased for $89.95. Blackjack Expert for the Palm can be purchased for $20. 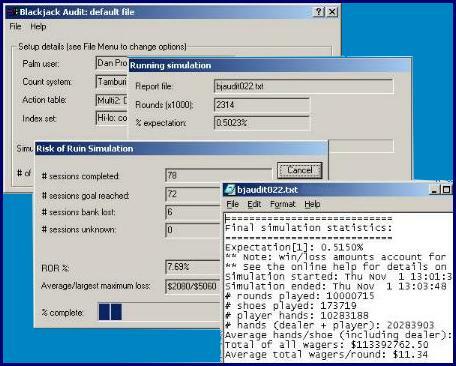 Blackjack Expert for the Windows can be purchased for $25. 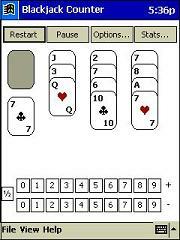 Blackjack Expert for the Pocket PC can be purchased for $35. Blackjack Counter for the Palm can be purchased for $20. Blackjack Counter for the Windows can be purchased for $25. 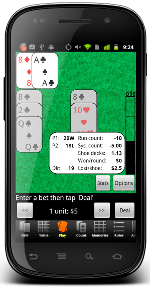 Blackjack Counter for the Pocket PC can be purchased for $35. Blackjack Mentor for the Palm can be purchased for $10. Blackjack Mentor for Windows can be purchased for $15. 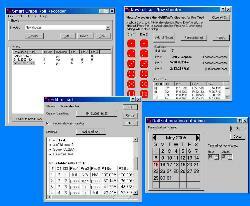 Blackjack Mentor for PocketPC can be purchased for $20. Blackjack Audit can be purchased for $50. For only $5, Balls! will challenge and entertain you for hours.